This gorgeous 2-story, 4 bedroom, 3.5 bath + den is located in the beautiful community of Stetson Valley. 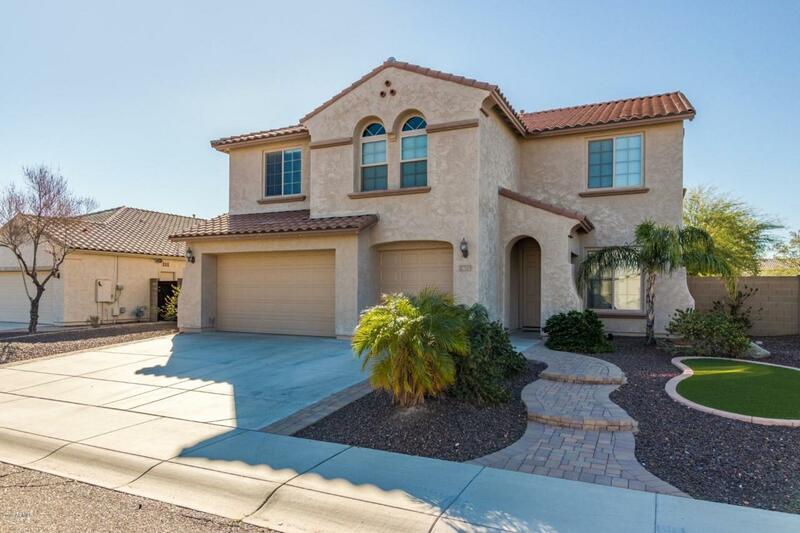 It sits among the gorgeous desert landscape with amazing mountain views. The home is in immaculate condition with a clear pride of ownership. It offers all the upgrades...GRANITE, TILE, gas range, appliances, fans throughout, surround sound, R/O system, soft water, alarm system, custom lighting. It has a den on the main with all bedrooms upstairs. The upstairs offers a huge loft for an additional family room or entertainment/game area. The upstairs bedrooms are oversized with walk-in closets. One bedroom upstairs offers it's own en/suite bathroom. The master bedroom is beautiful with plenty of room and a very nice bathroom. Home within walking distance of green space and a fun park.